o Resistance at the January highs, ability to make a higher high would signal upside back toward the 200-day MA near $1,270. 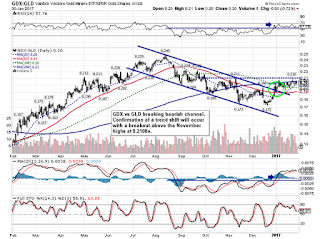 Chart 2 – The key ratio we continue to monitor for a directional signal in gold equities is the GDX versus GLD. Recall that a key a staple of a gold bull market is outperformance of gold stocks relative to gold. 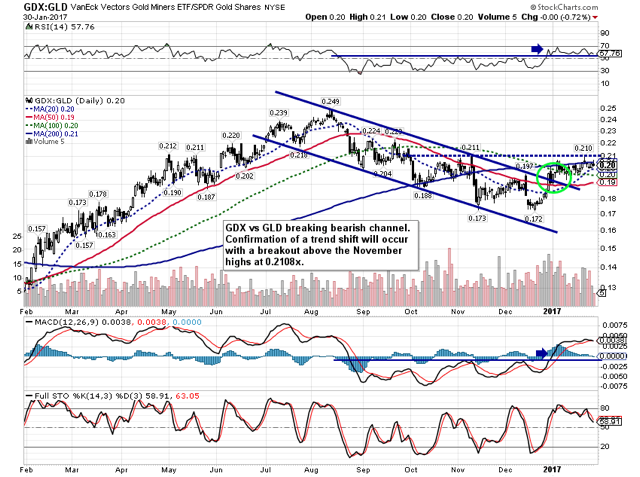 Ability for the GDX:GLD ratio to break above 0.21x along the November and January highs would, in our view, provide a signal to build an overweight gold position. 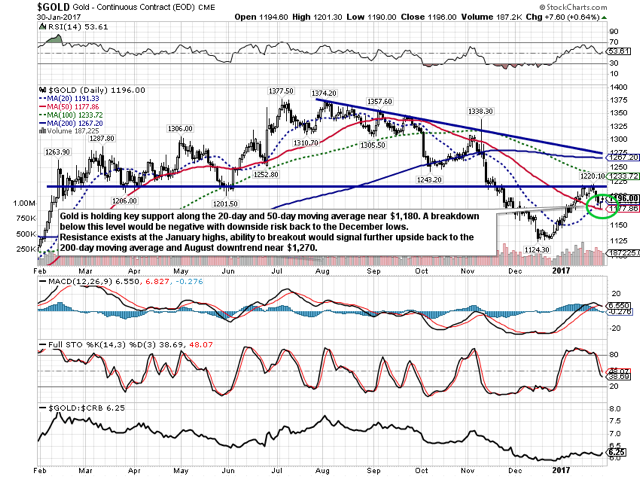 Failure at this level, however, would keep the series of lower lows and lower highs intact. 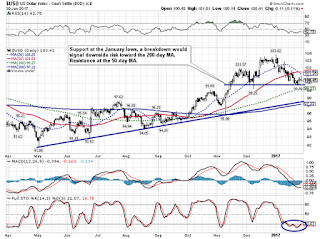 Chart 3 – The U.S. Dollar Index has pulled back to support along the December lows. 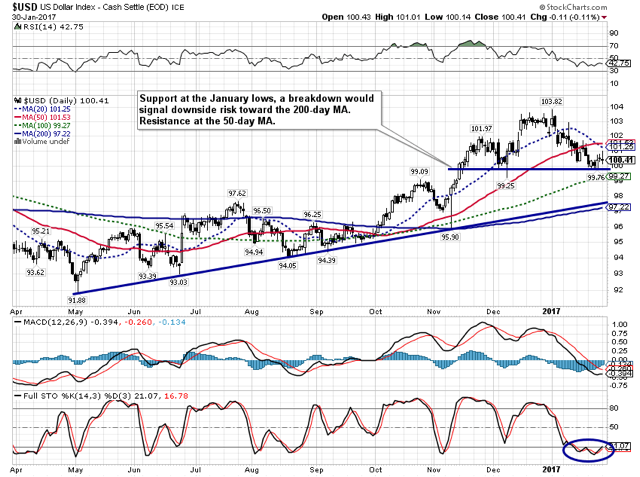 A break below this level would sgnal a deeper correction back toward the 200-day moving average. 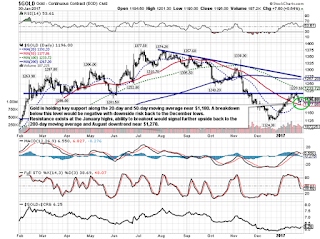 Resistance on the upside exists at the 50-day moving average at 101.50.